Weekly poll: what are your Samsung Galaxy S8 dealbreakers? Rumors are flying of what the Samsung Galaxy S8 will and will not have. There’s a lot riding on this and from all the chatter it sounds like Samsung is ready for another major break. 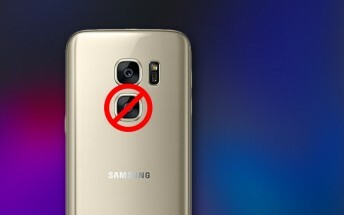 Project Zero (aka Galaxy S6) came at a time when buyers were disgruntled with the boring S5 design, is it time for Project Zero, Part 2? Project Zero nailed the design but people were up in arms because of all the features that were dropped - no removable battery, no microSD slot, no waterproofing and so on. Most of that was fixed in the Galaxy S7, which became a massive success. So with all the features that Samsung is reportedly cutting, we have to wonder - will we have to wait for the next phone to bring those back? Let’s make a list of all things that the Samsung Galaxy S8 will reportedly drop and see which ones are deal breakers. Note: you can vote for multiple items!